When news broke that Archer’s Adam Reed and Modern Family’s Megan Ganz were teaming up for a new animated show set in a post-apocalyptic American south, people were understandably excited. But bad news: despite a full run of episodes being commissioned, Cassius and Clay is already dead. The Hollywood Reporter revealed that FXX have canceled the series entirely late last night, even though a pilot had been created to air at an undisclosed date, followed by a commission of a 10-episode season. The show would’ve been paired with Archer in FXX’s animation slate. It would have followed the adventures of the titular Cassius Cordwood (Kaitlin Olsen) and Shopcarter Clay (Lake Bell) as they travelled around the wastelands of America. The extended cast included the likes of Susan Sarandon, Jeffrey Tambor, Kevin Michael Richardson and more. 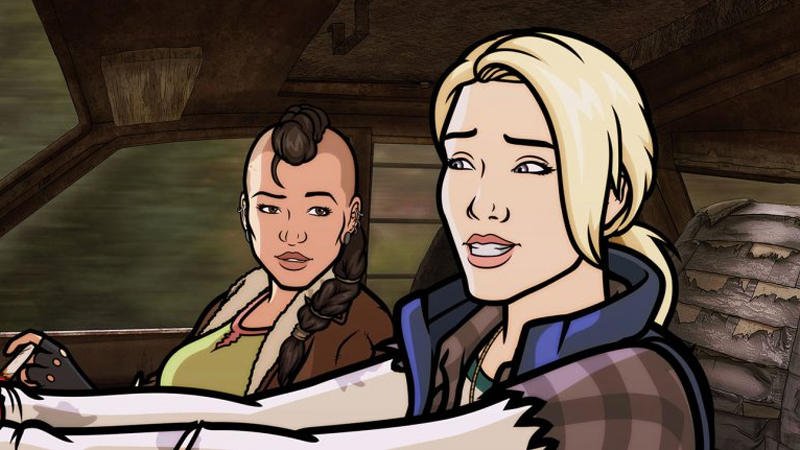 Given that an actual season was commissioned, it’s strange—and, as fans of Archer and the post-apocalypse in general, sad—that FXX would just kill the show completely. But it’s not like there won’t be a dearth of animation on the channel: as well as Archer, THR reports that the channel has commissioned two new animated pilots that will take Cassius and Clay’s place.